There are plenty of stories of Doctor Who that never made it to the screen for one reason or another. This isn't the BBC wiping them this time! 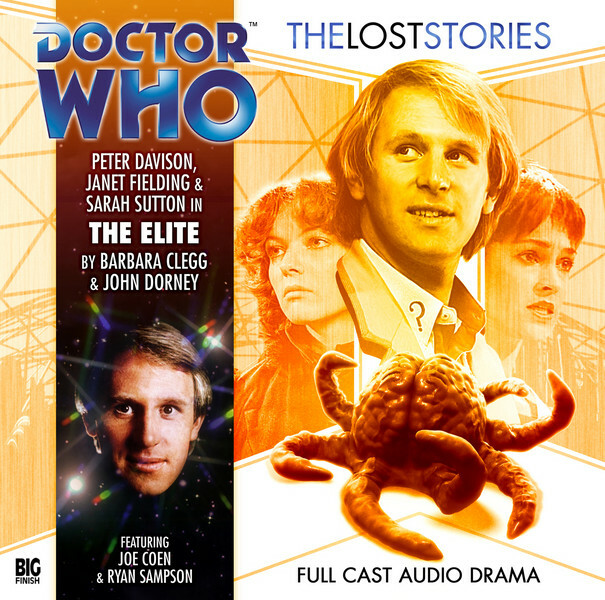 Big Finish is happy to put those stories into a new adaptation and available to listen to. Here's one with Peter Davison as the Fifth Doctor and his companions Tegan and Nyssa. Hidden away in The Cathedral of Power, the High Priest is watching. It knows the Doctor, and his arrival changes everything..."
So, this would have made a pretty good episode had they actually made it. If nothing else, it's a fun audio drama to listen to now. I thought it was interesting that, although he set the elements of the story in motion, the Dalek wasn't a huge part of the story. He obviously landed there and started the war and all, but a lot of what this story actually focuses on is the aftermaths of his actions. I also liked seeing the different roles Nyssa and Tegan play. Intriguing that behind a lot of the conflict is a fanatical religion. I loved the ending when they realize that they've been on Florana the whole time, just in it's past. They learn the beauty was built on ashes, and that was sort of a cool ending. I always like the 5th Doctor as well, so definitely enjoyable to listen to as I was....ironing. I can definitely see how this could have been a TV show. It would have been a really cool serial because before the New Series, we never saw a lone Dalek story. Yet having that distance allowed them to have a little bit more tongue-in-cheek humor. Teagan still bugs me as a companion and Nyssa is now starting to feel too perfect of a companion. Someone like Jamie was very loyal like her, but also had his own flaws due to his education. Nyssa seems a bit bland now but I felt that for a lot of the Fifth Doctor run. Anywho, this was a good story though. I liked the planet and the characters even though they were a bit familiar. One of the twists early on is very very similar to a popular sci-fi book that is about to be made into a movie. (Vagueness!) I really liked how the Dalek positioned himself as god among them; that felt very in "character".